Bath Bus Company have received notification that James Street West just after the junction with Charles Street will be closed on Saturday 28th and Sunday 29th January 2017. As a result of this road closure, the A4 Air Decker service will be unable to serve Kingsmead Square and St James Parade bus stops heading towards Bath City Centre. This entry was posted in Uncategorized on January 24, 2017 by Victoria. 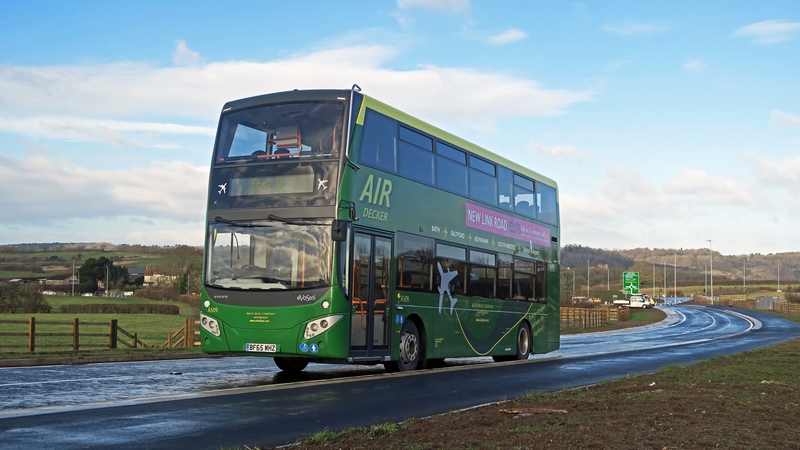 The A4 Air Decker service, operated by Bath Bus Company, has changed its route this morning to take advantage of the new South Bristol link road which opened today. The new link road provides a direct link between Whitchurch Road and the A38, whilst also expected to reduce traffic on other residential roads in the area. The decision to take advantage of the new link road was made to reduce journey times for passengers travelling to and from Bath, Keynsham, South Bristol and Bristol Airport by up to 5 minutes. This change was planned one year ago. The A4 route will serve the Hareclive Road bus stop, the Queens Road bus stop and the Highridge Green bus stop on the new link road. The route change allows the A4 service will avoid the congested Bishopsworth and Kings Head Lane areas. However, Bishopsworth residents will have only a short walk to one of the three new stops that will be used on the new link road. Victoria Annett, Head of Marketing for Bath Bus Company has said “The new link road will effectively cut journey times for those travelling to and from Bristol Airport, which is excellent for both passengers and staff, and residents of Highridge and Withywood will be gaining a reliable and punctual bus service from the A4”. This entry was posted in Uncategorized on January 16, 2017 by Connor Flavell. 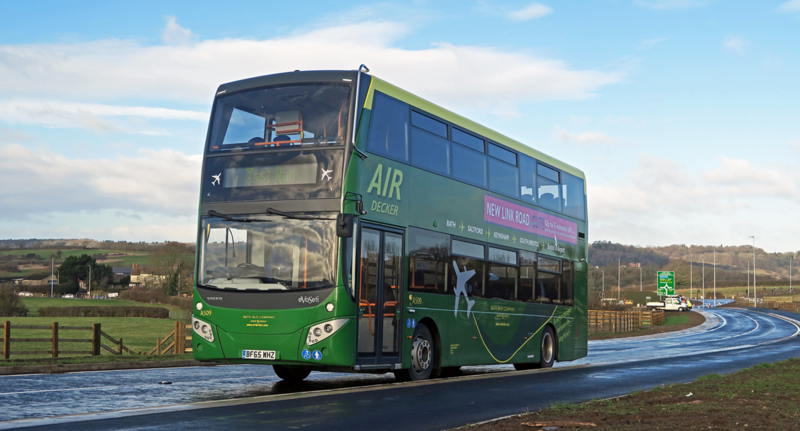 From Monday 16th January 2017 the A4 Air Decker route will be changing to take advantage of the new South Bristol link road between the Cater Park roundabout and the A38 (Bridgewater Road). The road will open midnight on Sunday – therefore all journeys from 03:00hrs onwards on the 16th will operate on the new route. The route will be changing from the Cater Park roundabout to no longer serve Bishopsworth or travel along Kings Head Lane. Passengers can expect journey times to be cut by up to 5 minutes to and from Bristol Airport as a result of the route changes. Bishopsworth passengers will have no more than a short walk to one of the new stops along the link road. Please do not hesitate to contact us on 01225330444 / 01225444102 or hq@bathbuscompany.com should you require any further information. This entry was posted in Uncategorized on January 12, 2017 by Connor Flavell. The Air Decker Service will be running as normal today (12/01/17) throughout today’s disruption. Some journeys may experience some delays due to heavy congestion. As of 8th January 2017, fares have been revised aboard the A4 Air Decker service for Airport travel. This entry was posted in Uncategorized on January 9, 2017 by Connor Flavell. You can now find the route map for the new South Bristol link road here located on the Travelwest website. The Air Decker Route will be changing to take advantage of the new link road when it opens 16th January 2017. You can find more information regarding this here. This entry was posted in Uncategorized on January 6, 2017 by Connor Flavell. Please note that from Sunday 8th January 2017, the A4 Air Decker will no longer serve Keynsham Park Estate. As a result, the 19:30 and 20:30 departures from Bath will terminate at Keynsham Church. This entry was posted in Uncategorized on January 6, 2017 by Victoria. This entry was posted in Uncategorized on January 5, 2017 by Victoria.